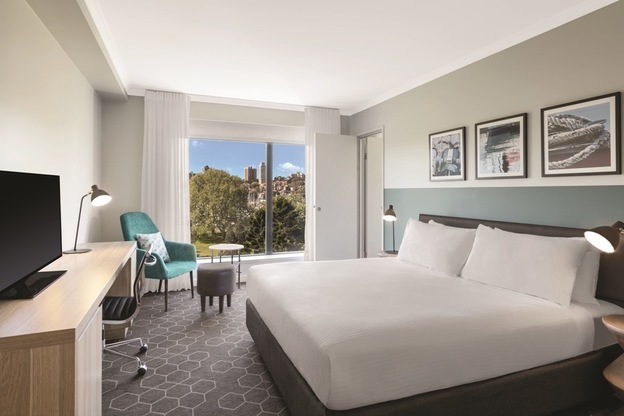 It’s night-time when we arrive at the Vibe Hotel, Rushcutters Bay, grateful to sink into a comfortable bed after a long flight to Sydney from the UK. So it’s only when the sun comes up and I bounce out of bed and throw open the curtains, that I see that a beautiful setting we’re in. We’re overlooking an expansive green park, where locals are walking dogs, doing yoga and other healthy urban Australian pursuits. 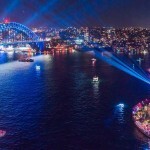 There’s also the glamour of the yachts of Rushcutters Bay, and a little further into the distance, the bright lights of the City Business District – we’re still fairly central and it’s a pleasant walk or metro ride over to the famous Circular Quay. Our suite has two adjoining rooms – one bedroom, one living room – each with floor to ceiling windows, a bathroom and a TV – very handy if, just for example, if you get up at 4am with jet lag and don’t want to disturb your partner. There’s a small mini-bar, good sized wardrobes, a safe and all the usual amenities – this is a well stocked place with a crisp, unfussy design with an eye for comfort. Breakfast is downstairs in the brand new restaurant, Storehouse On The Park, the jewell in the crown of the Vibe’s recent refurb. 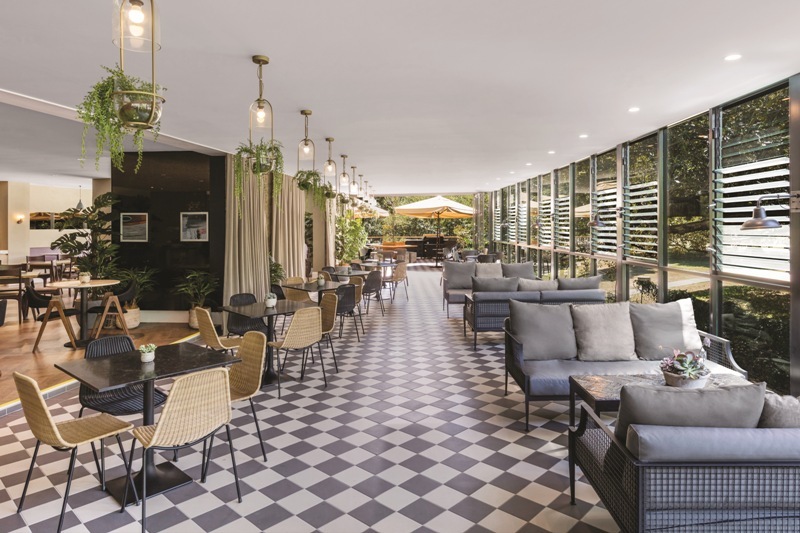 It’s light, green and welcoming, with a terrace where you can soak up the sun, wave at the joggers and admire the local birdlife (who, in turn, are eyeing your croissants). The cooked buffet breakfast is great, including superior baked beans and lots of seasoning options, and there are plenty of yoghurts, cereals and fruits on display. At night, the Storehouse is a relaxed place for a drink – the server introduces me to a great local cider/ginger beer mix – and the dinner menu is fresh and fun. Prawns, crispy garlic bread and parmesan salad are highlights of our evening meal, along with a delicious chocolate pudding served with strawberries. Perhaps the biggest draw of the Vibe Hotel is up on the roof. 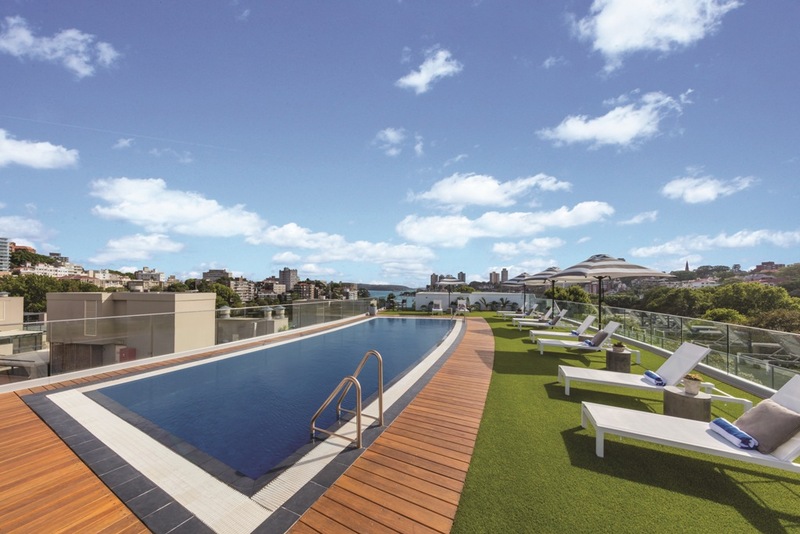 Not only is there a gym with a view, there’s a gorgeous sun-trap swimming pool. We soak up some rays on the sun loungers before taking a dip – towels are provided and despite the size of the hotel (243-room and 15-suites) it’s never over-crowded. I even have the whole place to myself when I hit it at 11am, like a typical Brit. Many people staying here do so for business, but there’s a good mix of guests: families, couples, groups of tourists and conference people all waft in and out of reception. 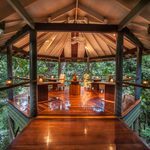 Staff are helpful and friendly and over the course of our four-night stay we find the Vibe a great base for exploring. Yes, I like this Vibe. 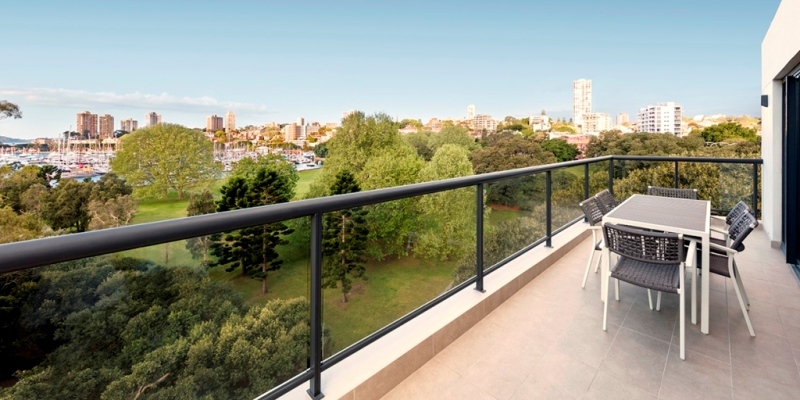 Vibe Hotel Rushcutters Bay has rooms from $143 AUD per night. 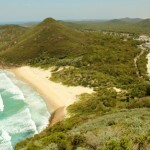 Vibe Hotels have eight locations Australia while other locations coming soon include Northpoint, North Sydney and Hobart.